Explore the science of light: color, shadows and light with this simple and visually stunning kit. A fun and easy way to teach and learn about the science of light, color and shadow. Use it to share the light with school groups, afterschool programs, science fairs and more! 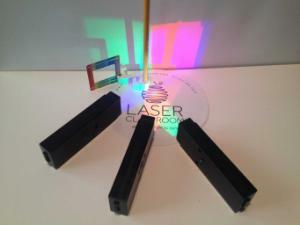 Ordering information: Kit contains a set of three LED Light Blox, Protractor, Diffraction Grating, and Shadow Stand. Classroom Pack contains 8 sets of 3 high tech LED light sources (AA Batteries included) - Red, Green and Blue; 30 diffraction gratings - 500 lines/mm; 8 shadow supports; and 30 protractors.